Sunshine, Salmonberries, Slugs, Salamanders, Songs, Shorts, Scratches.... SUMMER! We started our Summer Camp season off in the most fun way possible. The kids came curious, excited, wild, and ready to learn and have a whole lot of fun! We really packed it in 3 short days. We played many games, hiding games, running games, bird language games, awareness games and made up imaginative games. We sang songs and shared stories. We laughed, we cried. We ate delicious salmonberries, miner’s lettuce, hemlock tips and more. We made delicious and nourishing Forest tea and shared it at lunch. We climbed trees and rocks, adventured off trail on bushwhacks and hid behind ferns and blackberries. We found bird eggs both broken and whole. We fished in the lake with our homemade poles. We examined owl pellets, a mole, a shrew, deer and coyote tracks. We found an Ensatina salamander and a Western Red-backed Salamander. That's only a partial list. My mind is swirling just trying to remember it all. 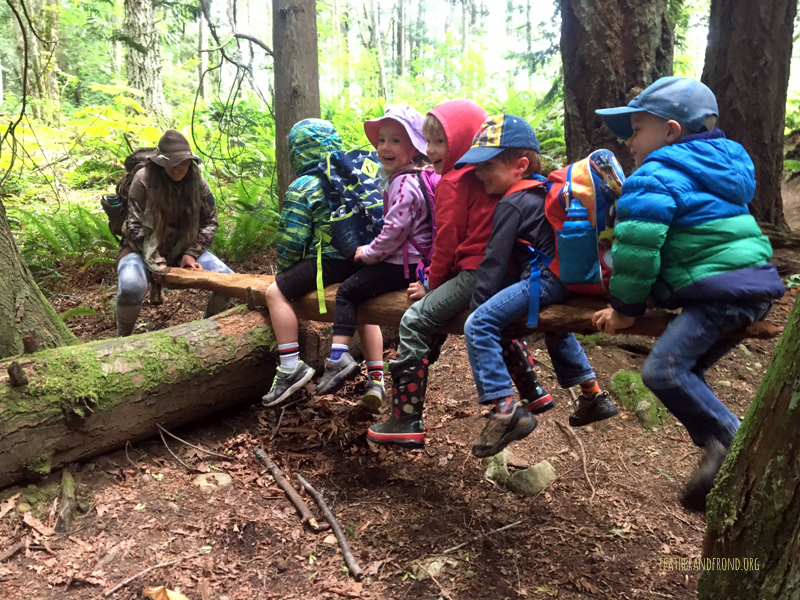 What magic is filled in the forests of Bellingham and I am extremely grateful to spend so much time exploring and seeing nature through the eyes of children! With that in mind we have 4 more camps this summer! A few spaces remain in each of the upcoming Earth Scouts Summer Camps for 7-11 Year Olds! Dates, Info and an enrollment forms can be found here: https://featherandfrond.org/2018-summer-camps-earth-scouts. If you want your child to join us please enroll now before we are all full! Our remaining Wild Wanderers camp is very full with a waiting list, but did you know we do this all year long rain or shine?!? The secret is out and we anticipate full rosters this school year! We would love to have some year-round nature adventures with your child, so please don’t delay if you want to play! We have immense gratitude to all of the parents who have entrusted us with their children out in the Wild Wall of Green. Thank You!